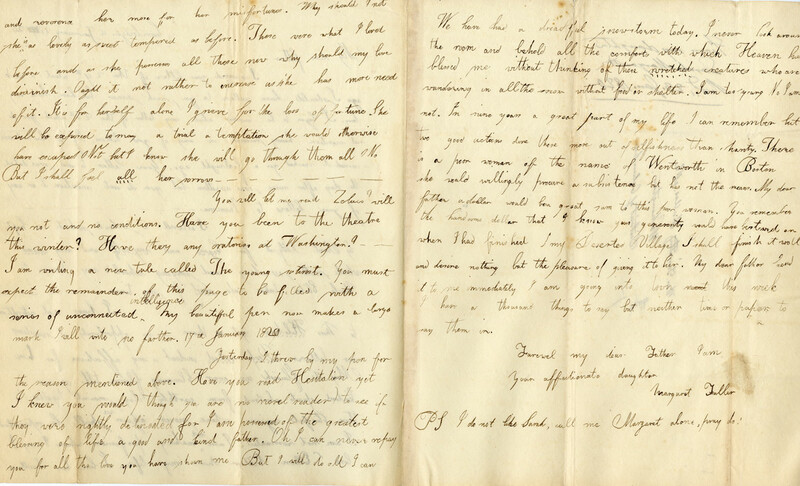 Margaret Fuller, born Sarah Margaret, sent this letter to her father when she was only ten years old. Timothy Fuller believed in a comprehensive education for all of his children and Margaret, his oldest, flourished under his tutelage. 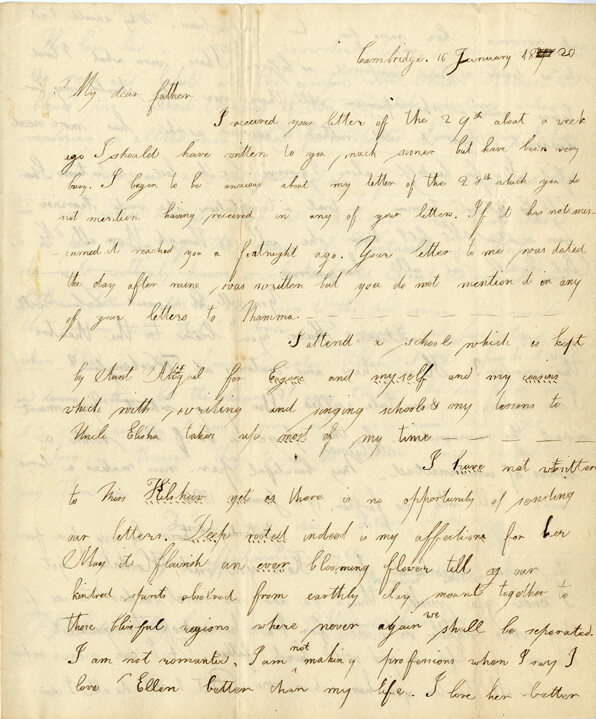 This letter is especially significant because it is one of the first written instances where she asserts her identity as Margaret instead of Sarah Margaret; an identity that becomes synonymous with early American feminism and her success within the Transcendentalist movement and as a writer and critic.